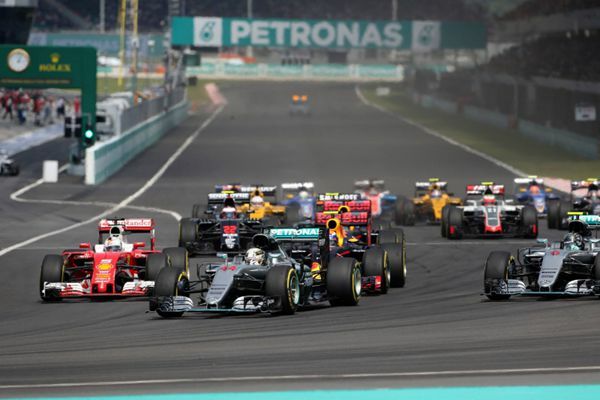 F1 Malaysian GP: Malaysia planning to pull F1 race? Malaysia is considering not to host the Formula One race at the Sepang circuit due to declining ticket sales and lack of TV viewership, the New Strait Times reported on Tuesday. According to Ahmad Razlan Ahmad Razali, chief executive of Sepang International Circuit (SIC), ticket sales had been on the decline since 2014 and sales for the Malaysian Grand Prix this year only reached between 55 and 60 percent. Television viewership also registered the "lowest in history," Razlan told the Malaysian newspaper. Although SIC had an agreement with the Formula One license holders until 2018, Razlan said they would consult with stakeholders to determine the matter. "Maybe it will do Malaysia good to take a break... I think the product (Formula One) is no longer exciting. It's been dominated by one team," he said. With Mercedes' dominance throughout the whole season, the only highlight of Formula One has been the duel for the world champion title between Mercedes teammates Lewis Hamilton and Nico Rosberg. The Malaysian Grand Prix, which used to be hosted in March, was moved to October this year but still the move did not work too well. Malaysian Youth and Sports Minister Khairy Jamaluddin also weighed in on the mater, saying on his Twitter that "now so many venues" for people to watch and that there are "no first mover advantage" for Malaysia to continue to host the event. Khairy said Malaysia should instead bid for less costly races, like the Japan GT and continue to host MotoGP, which is reported to expect 90,000 spectators during this weekend's championship. According to a 2017 race calendar published by FIA in September, the Malaysian Grand Prix will be hosted on Sept. 17 at Sepang, it is yet to be seen whether further changes will be announced.